Best Electric Tricycles for Sale! Give Your Grandma or Grandpa an Electric Tricycle for Christmas! How about giving your grandma or grandpa a beautiful electric tricycle this year? Electric tricycles are perfect gifts for grandparents! They will be able to go around the neighborhood or small grocery shopping without having to drive and face traffic and without getting tired! Electric tricycles are fun, safe, very easy to ride, very pleasant and very eco-friendly too! I bet your grandma or grandpa is going to love getting an electric tricycle from you! 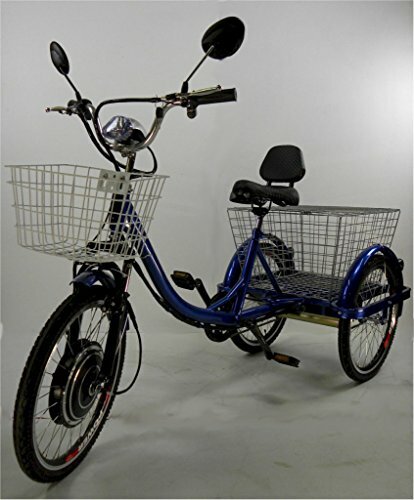 *This is a very cool adult electric tricycle for sale! Check out that comfy seat with backrest! The huge and very handy baskets are also perfect for grocery shopping! You decide if you want to pedal…. or not! Razor Power Rider 360 Coolest Electric Tricycle for Kids! This is the latest and coolest electric tricycle for kids!! All they have to do is push button and off they go at around 9 mph! They can ride up to 40 minutes non-stop! The best feature for parents and grandparents is the price! (I love this ‘futuristic’ look! 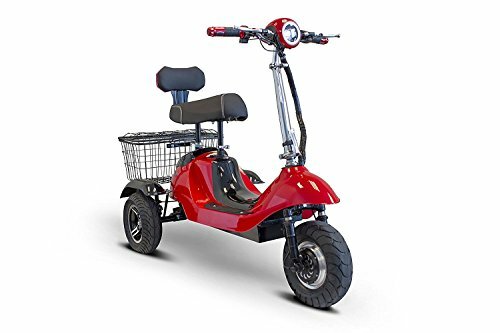 Awesome Red Electric Powered Tricycle for Adults! 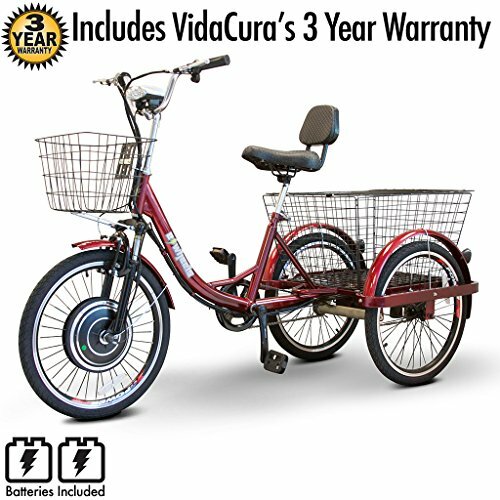 This gorgeous red electric trike for adults is one of my favorites! It is huge and very attractive! I love the huge rear basket that can be used for groceries or personal belongings and the comfy seat! Great for people who have knee problems and back problems. Fun and easy to ride! It can also be used as a real means of transportation! Electric tricycles make great gift ideas for seniors! They are fun to ride and very useful too! Weight capacity: 400 lbs. Max Distance: 20 miles. Top Speed: 15 mph. Best Electric Tricycles for Sale: Cute and Affordable!! Comfy and AFFORDABLE Electric Trike for Seniors! Just by looking at this amazing trike you can see it’s a beautiful adult electric tricycle for sale! You can travel up to 21 miles distance on a single charge if needed! Great trike for people who suffer from osteoarthritis or have balance problems. The two baskets are a great plus! Perfect for going grocery shopping! 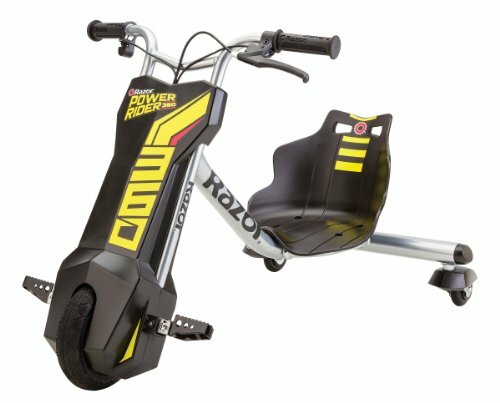 Best Mobility Power Scooters and Chairs for Seniors and Disabled! Hi Robert, thanks for visiting. Yes. It holds up to 400 lbs. Even though for a bigger person the seat might not feel as comfy.